Keep me on the Future Doctor Academy’s mailing list for future programs! 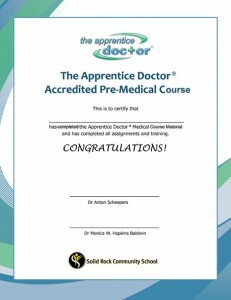 The Apprentice Doctor® Presents the Ultimate, Accredited Premedical Camps/Workshops/Conferences. Do Not Miss This for Anything! Attendees of previous Camps having a great time! Available spots always fills up fast! So book your spot early to attend this life-changing, week long medical immersion experience. Ideal for all students interested (or considering) a career in medicine. Jump-start your medical career and build your resume at the same time. Attending this camp is a great opportunity to all. If you are serious about following a career in medicine then you cannot miss this for anything! To all Prospective Medical Professional: Come and enjoy a week dedicated to your future career in medicine – learning and doing a large variety of medical things using the accredited and acclaimed Apprentice Doctor Course material. In association with the University of South Florida Medical School – lots of fun, lots of medical activities and medical workshops! 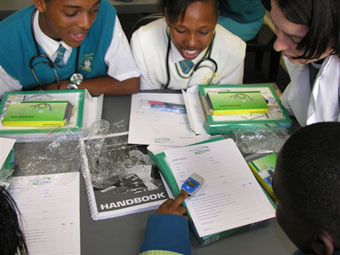 Medical students will assist in workshops and give you advice on how to succeed! Get premedical academic credits – The Apprentice Doctor is a member of the IADL (International Association of Distance Learning). A full 100% of attendees at The Apprentice Doctor® 2010, 2011, 2012 and 2013 up to 2018 programs said they would absolutely recommend the camp to their friends! Learn how to perform 20 of the most common healthcare skills that doctors use on a daily basis via multiple practical workshops. Take part in a bodily sounds workshop – including understanding the difference between normal heart sounds and heart murmurs. Learn the basic principles of pulse oximetry. A real medical Finger Pulse Oximeter is included. Complete one session on the strategic planning of your life with “Jump-start Your Life.” This is absolutely essential information that is invaluable in order to succeed in such a demanding career! Jumpstart your career with The Apprentice Doctor® Medical Course – one of the best tools available to launch a career as a medical professional! Learn the reason why medical students are able to retain such an enormous amount of information with apparent ease. 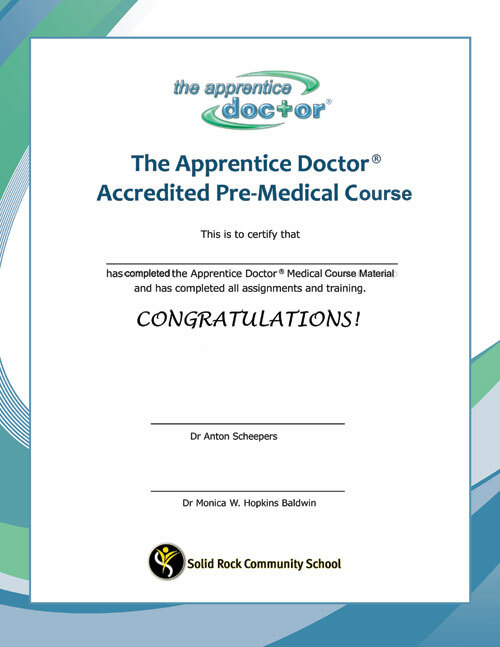 At the end, you will receive The Apprentice Doctor® Certificate. You can add this credential to your resume as well as include it with your application to any university/medical school! This course is highly recommended for students and scholars who are interested in a career as a medical doctor, or as a medical specialist such as a surgeon, dentist but also for aspiring professional nurses, EMTs/paramedics, physiotherapists, etc. Attendees: Maximum of 25 students to ensure one-on-one, individual attention maximizing the collaborative learning experience. Venue: Carrollwood Hospital Campus Tampa FL. Extensive Duration: Ten Incredible Days of ‘Medical Immersion,’ Daily classes run from 8:30 am – 4:30 pm July 1 to 12, 2019.